song playing "Duke of Earl "
America's muscle cars, life on the road had changed forever. attention, and drove with ground pounding excitement. The first year for Chevrolet's new sports car. This is number 107 of 300 made in '53. 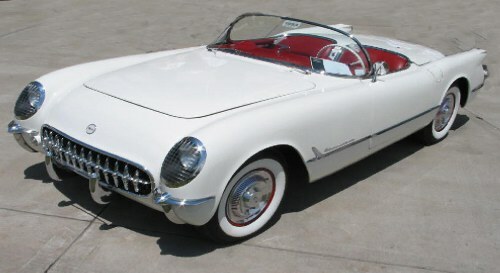 The Corvette, "Americas first true sports car" was born in 1953.
changed in 1955 with the addition of the famous small block V8. Americas' legend was here to stay and never looked back. Ramjet Fuel Injection produced 290 hp. 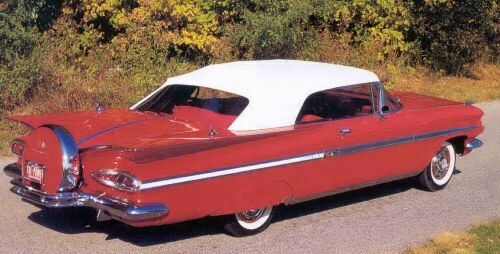 similar shell, the louvers on the hood and deck-lid chrome was omitted. optional racing brake package was ordered. mission it turned 0-60 in 5.7 seconds and the quarter mile in 14.3 seconds. 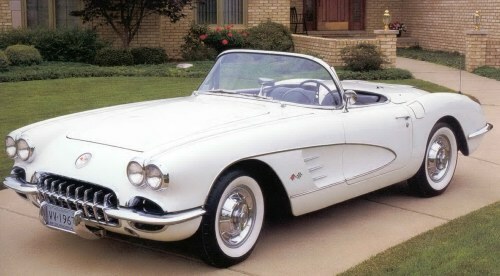 All in all, the Corvette's place in auto history was assured. Floor mounted four speed transmission. to a monster 428 c.i. Cobra Jet. Slighly less than 5000 of these models were built. 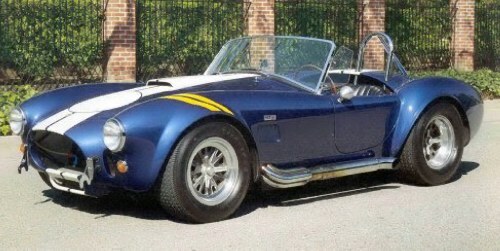 of the Carroll Shelby convertibles were built. 360 hp with L-69 tri-carb option. 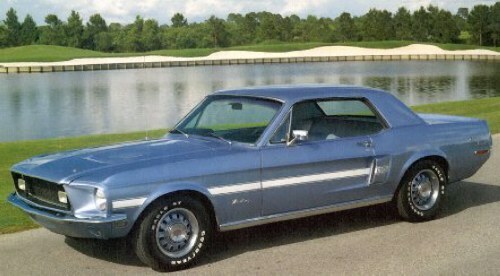 quarter mile in under 14 seconds at 100 mph, not bad in '66. Only 2,129 of these monsters were built. 340 hp was tremendously underrated. Only 52 of these were built by Hurst for the drag strip. This one has special factory paint job and Hurst wheels. In actual fact, it was closer to 325 hp. were built. One shown here is one of 1100 with four-speed. 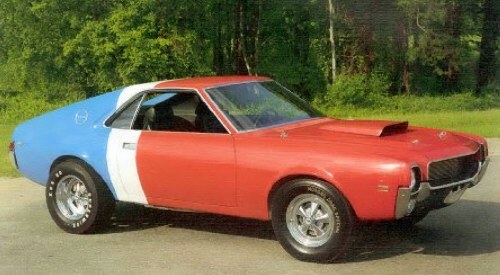 The Barracuda was introduced by Plymouth in 1964.
meaning to the expression " small block screamer". Ed Walker's Cars of Yesteryear.